Get in touch with your feminine side when you wear this orange coloured shirt by Faballey. 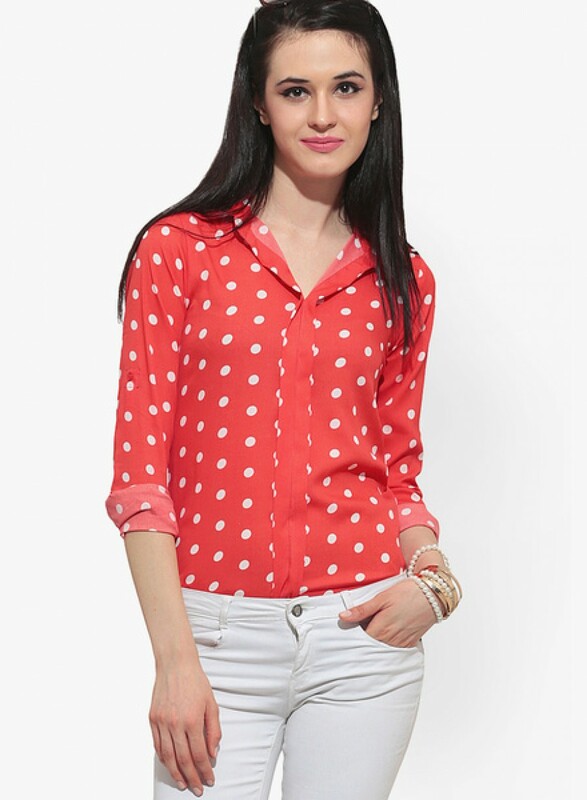 Made from polyester, this regular fit top will keep you comfortable in summers. Pair this top with black denims to get endless compliments.